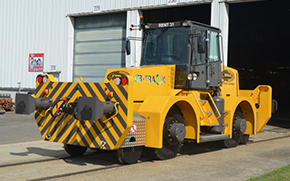 We present our B-Track 16 as a small and maneuverable road rail shunter to operate at small shunting locations. Equipped with remote control makes the job with the B-Track 16 more easy and safe. 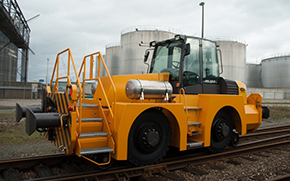 The B-track 24 is the perfect road rail shunter to operate in the “ First or Last Mile Tracks” to complete the last part of the logistic operation. The road rail shunter has also found his way to operate in the railway construction.